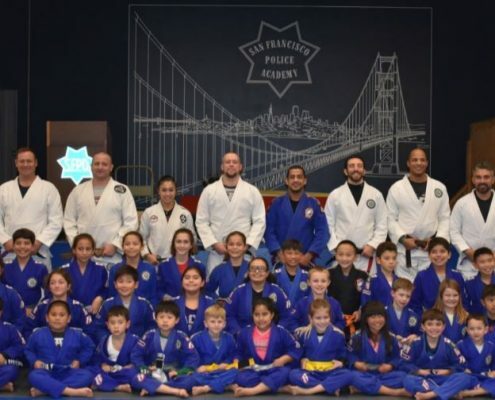 SF Pal – Building community by organizing youth sports and healthy activities. among police officers, youth and dedicated volunteers. Help us reach our goal and donate today! 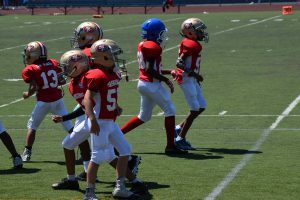 Our newest program, 49ers PREP flag football, is brought to us by the San Francisco 49ers Foundation and in partnership with the San Francisco Recreation and Park’s Department is scheduled to kick off on 04/08/2018. Games and practices will be held at Potrero Hill Rec Center. 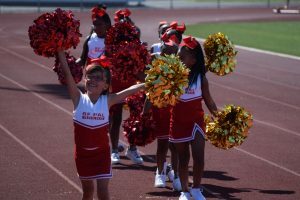 The cheer and dance team is coached by 20 volunteers, that serve 60 coed cheerleaders in the western addition. 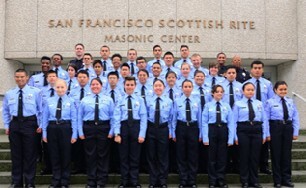 SFPAL 49ers Dance teams have competed and won titles at the pop earner National Competition. 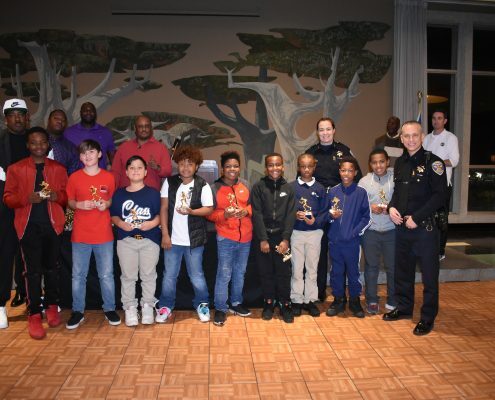 With the help of 30 volunteer coaches SFPAL 49ers football is serving 200 young boys every fall. this program provides positive adult role models in their lives. 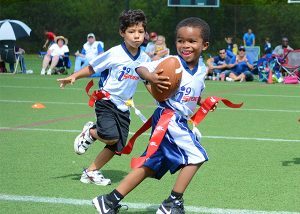 In 2012, SFPAL 49ers’ play in the Norcal American Youth Football League. Complete the online application with all necessary attachment by 5:00pm on the deadline on April 3,2017 to be considered for the 2017 summer Cadet Academy. Jiu Jitsu is a contact and physical sport. Throwing and joint locks are all part of the sport. 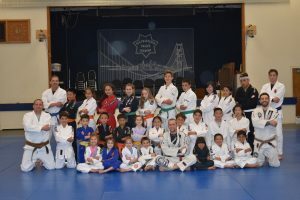 While under the instructor’s guidance, youngsters advance in belt degree as they master the techniques of Jiu jitsu. If you would like to help, there are many ways that you can get involved! We would not be able to reach and impact San Francisco youth without your ongoing support. 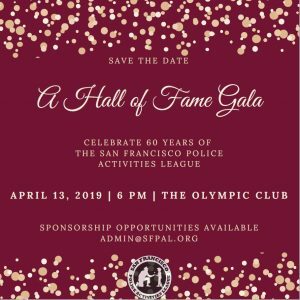 Please help us continue to positively influence the young deserving lives of our city and the future of tomorrow. 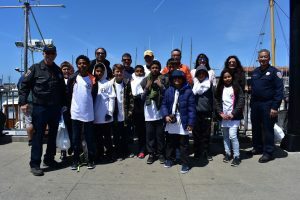 If you are passionate about helping our San Francisco youth contact us today to learn more about our many opportunities and how you can help us make an impact. 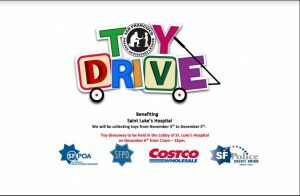 Choose SFPAL as the Charity of your choice and receive 10% off every time you shop at the Sports Basement. 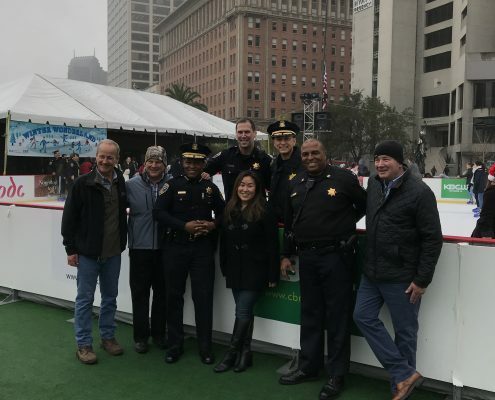 Companies can partner with SFPAL in many ways. 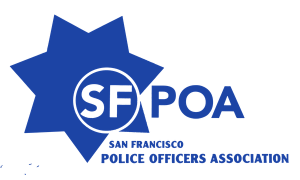 Sponsor or attend a SFPAL event.